There can be two different reasons due to which the cost of building a seawall will vary. They are firstly the soil condition. The second one is accessibility of the jobsite. After engineers and contractors review the jobsite, they must also probe about the soil for determining the density. Based on the soil density, the engineers and contractors will decide about the material option for the seawall and also equipment that is required, which may have different cost. In fact, if the soil is hard then much larger equipment may be required, and the cost may also rise. As far as jobsite accessibility is concerned, the contractor needs to decide whether he can install the sea wall from land or they need to install it from water. In case they will install only from the water, then there is no sufficient space for equipment in between the property lines or behind the wall. 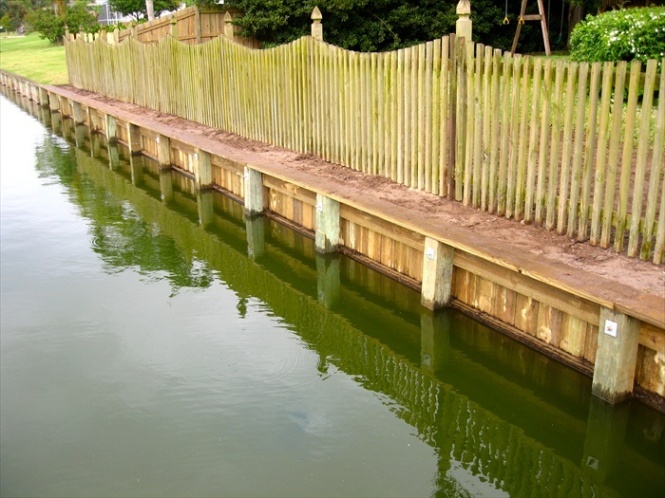 Few marine contractors may decide at least 30 to 40% more installing a bulkhead or seawall from the water. In case, the contractors install from waterside then they will have a barge and drive the barge on the jobsite to determine how they can transport various material, etc. Number of details has to be worked out for installing any sea wall from water, which can add cost. However, mostly the vinyl bulkhead material, steel-reinforced concrete wall is installed from land side by using smaller equipment that may incur little lower costs. With better material, you can get much stronger and thicker concrete seawall as compared to any precast concrete panels. The total cost will depend upon the closeness of any swimming pool and any landscaping, docks, wall condition, drains, exposed wall height and many more. Also, the price may vary from one state to other state. There are few surveyed costs obtained from various seawall contractors during May/June 2016. Few seawall contractors had quoted $650 to $2,000 per foot based on the waterway depth and the seawall location. Few other engineering and other services had quoted the price as $2,000 to $5,000 per job. The cost may vary with the condition and type of the seawall. This cost range has been obtained from Southern Florida region. If you look at other areas of the US, the price range may be slightly more or can be less too. Most of the residential bulkhead or sea walls for salt water that are properly built may cost in around $500 to $1,200/ linear foot.